Highlights of the Sky Bet League 1 clash between Peterborough and Oldham. 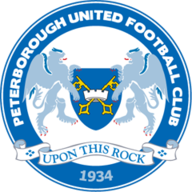 Oldham Athletic moved a step closer to Sky Bet League 1 safety with a 2-1 victory at Peterborough United. Captain Liam Kelly struck the winning penalty 17 minutes from time after Peterborough's Souleymane Coulibaly had cancelled out Cameron Dummigan's first league goal as Latics made it five matches unbeaten. It took just two minutes for Oldham to take the lead as left-back Kgosi Ntlhe mis-controlled a cross from Aaron Amadi-Holloway, allowing 19-year-old Burnley-loanee Dummigan to sweep home from the edge of the area. 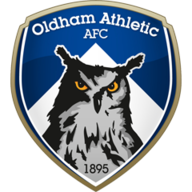 The Posh equalised after 39 minutes as Oldham keeper Joel Coleman tipped Marcus Maddison's whipped cross onto the bar, allowing Coulibaly to head in from a few yards out. The winning goal then came after Peterborough stopper Ben Alnwick spilled a shot by Carl Winchester before bringing down Matt Palmer as he tried to recover the ball. The goalkeeper got a hand to Kelly's low penalty but could only divert the ball high into the net. Anthony Gerrard then headed a corner onto the post for Oldham who moved within touching distance of safety as Posh suffered a third straight defeat in 12th.